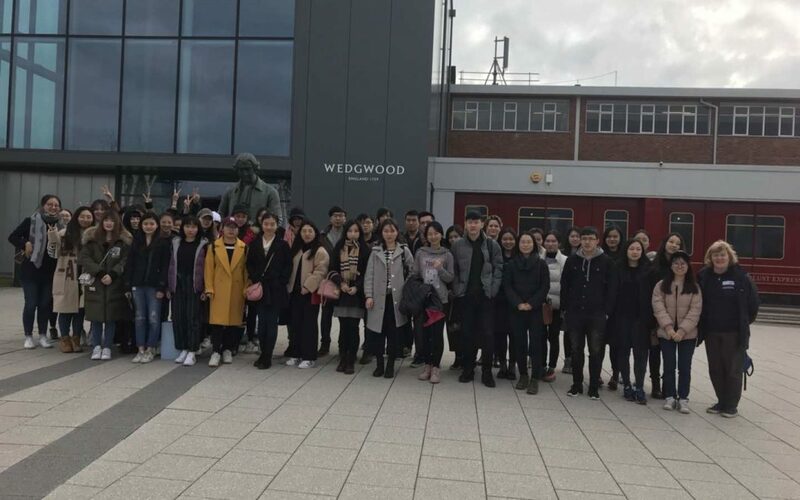 Students on the MSc programmes in Human Resource Management (International Development) visited the Wedgwood factory and museum in the Stoke-on-Trent and the nearby Trentham Gardens and Estate to gain an understanding of organisational development. In addition to a presentation on the overview of Wedgwood Group from the perspective of HR management, staff from Wedgwood Group discussed HR policies and practices as well as specific changes to Wedgwood factory discipline, size and ethos since its inception. The different presentations offered a great opportunity for students to gain insights into some of the practice-focused human resource management challenges and solutions faced in an organisational context in which change has been effected following the acquisition of the Wedgwood brand by a leading Scandinavian group, Fiskars. Since 2000, Trentham Gardens has undergone a successful major £120-million redevelopment by St. Modwen Properties as a leisure destination. During the visit, students were given an introduction on the current changes and development of the Trentham Gardens, especially on the policies and change of management in the organisation. The students found it is helpful to link their theoretical knowledge with the practical management strategies described in this organisation. It was such a unique experience for us to organise visits to the Wedgwood factory with a practical talk given by the HR practitioner. All the Wedgwood staff were happy to help us have a better understanding. Through the whole visit, we had very good communication with the staff and we were moved by how they work as a team, each individual perfectly doing his or her duty – even though the factory is mostly covered by machines – it’s obvious that some of the crucial procedures must be completed through skilled handwork. Many points illustrated by the HR manager can be linked to the literature we have studied in class. The speech delivered by their HR expert inspired us to see how human resource management can benefit the success of an organisation. The visit to Wedgwood not only showed the development processes and craftsmanship of an organisation, but also gave us an opportunity to gain an understanding of their HRM knowledge. The visit is interesting as it combines the tour in the museum and factory and the presentations on management. It is useful for us to learn HRM strategies from a practical perspective. I’ve learned the Wedgwood HRM strategies, which is very helpful for my study. We also learned the HR management experiences in Wedgwood, such as their performance management. In a word, it’s an interesting and meaningful trip! I do want to learn more on manufacturing industry and arts and how HRM is practiced in the organisations! I was amazed by its history and process of development. I learned a lot from the presentations provided by the Wedgwood HR director. For example, it is vital to conduct performance management and work in balance with the Union for the purpose of enhancing employee engagement and improving the productivity. Furthermore, a clear mission and values to everyone is a foundation of an effective communication. This trip is really helpful for us to link what we’ve learned from theoretical knowledge with the practical contexts. For further details about the Global Development Institute (GDI) MSc programmes in Human Resource Management (International Development), please visit our website. Thanks to Olivia Thackstone in World of Wedgwood, Clare Humphreys in Trentham Gardens, Chris Perkins and Michael Walker for their presentations as the heads of the two organisations. It is with great pleasure that we were given the opportunity to visit the World of Wedgwood and Trentham Gardens on 15 March. The guided tour at World of Wedgwood pavilion showed their transformation over the last 200 years, and how historical and cultural development impact on their technologies and products. In addition, the presentation done by the HR speaker facilitated us with further understanding of how HRM and HRD concept had been incorporated into their business strategy hence to achieve the company’s goal. For instance, the factors of advanced technology, workforce diversity and work environment are thoroughly considered in improving employees’ well-being in Wedgwood. 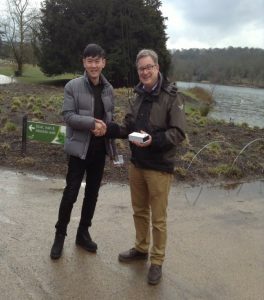 The excursion at Trentham Gardens enabled us with a perception of how marketing strategy and workforce planning were aligned with business development in attraction/tourism industry. To sum up, this visitation is really beneficial to us as it not only enhanced our knowledge in HRM / HRD field, but also offered direct insight into British culture from business perspective.